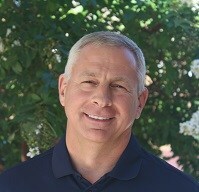 After beginning my teaching career 31 years ago at Rocky Mount Senior High, I am happy to return to the high school level as the Head of Upper School at RMA. I have been fortunate to work at the high school, community college, college, and university levels of education. The pursuit of excellence in all areas of the arts and sciences at RMA is what made me want to become a part of the Rocky Mount Academy family. Please contact me if I can help! 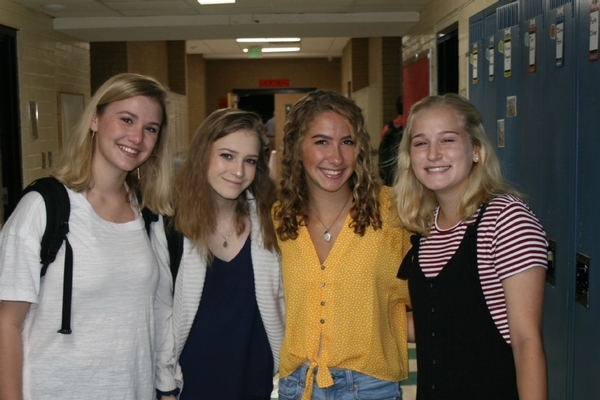 At the heart of the Upper School are the relationships built between students and teachers.Upper School teachers are available before and after school, during lunch, during study hall and flex period, or by appointment for any extra help students may need. Teachers also serve as mentors, club sponsors, and coaches for the wide variety of extra-curricular activities and sports available. Students are also encouraged through our advisory program to work with their teachers on setting personal goals, creating an individual learning profile, taking on leadership roles, working in groups to solve complex problems, and discovering what it means to be global citizens. One of the many ways Rocky Mount Academycombines its well-known qualities of academic excellence with an emphasis on education for character and citizenship is through community service. 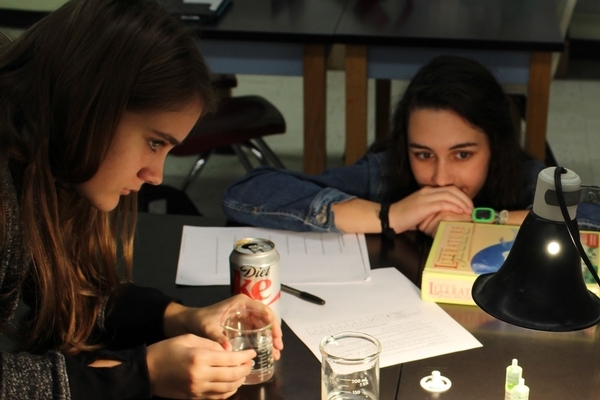 Upper school students participate in a variety of community efforts­ through participation in clubs and service groups, and in grades 9-12, by completing required service hours. Visiting the elderly, working with the handicapped, supporting recycling projects, and responding to a host of human service needs in our community are just a few of the ways that our students learn they can and do make a difference in the world. 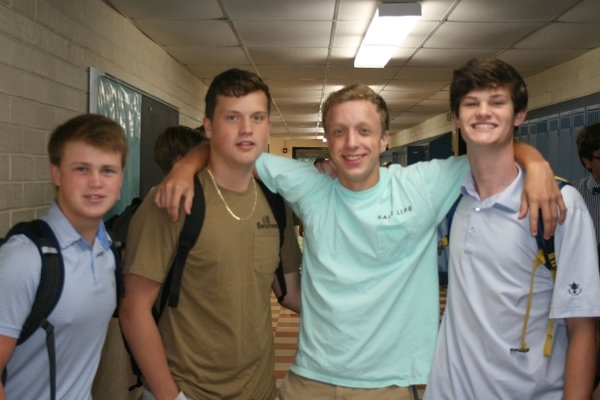 Whether a student is interested in art, drama, journalism, student government or foreign cultures, there are clubs and activities to meet everyone's needs at Rocky Mount Academy. Preside over the student government, travel with the French and Spanish clubs to Europe, sing in the spring musical, or test your intellectual skills through the Brain Game; the possibilities are endless! The following academic requirements are established and regularly reviewed to serve as guidelines for meeting the stated academic mission of Rocky Mount Academy. They are based in part on college admissions requirements. In the areas of mathematics and history, our requirements exceed the minimum for the state university system. Beyond these graduation requirements, certain specific course requirements exist for the 9th and 10th grades. 90 – 100 Indicates that a student is excelling in several if not all of the following: skill development, application of skills, sustained and effective use of knowledge, frequent contribution to class discussion, and initiative by going well beyond standard requirements and expectations. 80 – 89 Indicates that a student is excelling in fulfilling requirements and expectations in some areas and displaying competence in many areas. 70 – 79 Indicates that a student is satisfactorily fulfilling the requirements and expectations, sometimes exceeding or falling below them. 65 – 69 Indicates that a student is not satisfactorily fulfilling the requirements and expectations in many areas. Below 65 Indicates that a student is not fulfilling basic requirements and expectations. The Honor Roll celebrates the high level of academic achievement earned by our students and serves as encouragement for continuing to strive for academic excellence. All honor roll students receive personal recognition from the school for their success. Headmaster's List: Students have earned a 90 or above average in each course for the trimester. High Honors: An overall grade average of 90 or above, with no individual course average below 70. Honors: An overall grade average of 80 or above, with no individual course average below 70. Yearly Awards: At the end of the school year, the final honor rolls will be named. Straight A Honor Roll: No trimester grade below 90 in any course. This will not include exams. A Average Honor Roll: The average of all courses of 90 or above with no individual course average below 70 at year’s end. B Average Honor Roll: The average of all courses of 80 or above with no individual course average below 70 at year’s end. The Headmaster’s Award: Given at the end of the year in each grade to the student with the highest academic average in all graded courses after proper weighting. Failing a course or an exam for any grading period makes a student ineligible for any yearly honor roll. 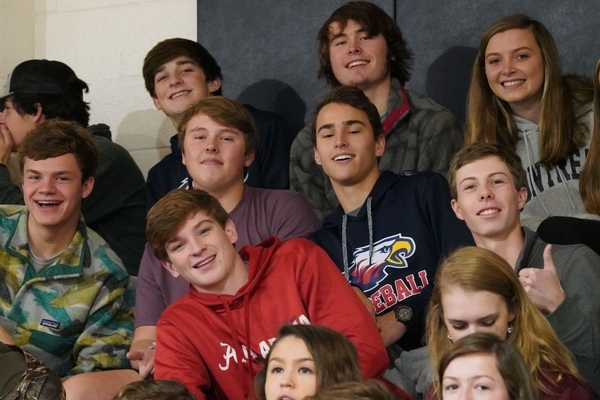 To be eligible to receive the Headmaster’s or departmental awards, a student must have been enrolled a minimum of half a year at Rocky Mount Academy.